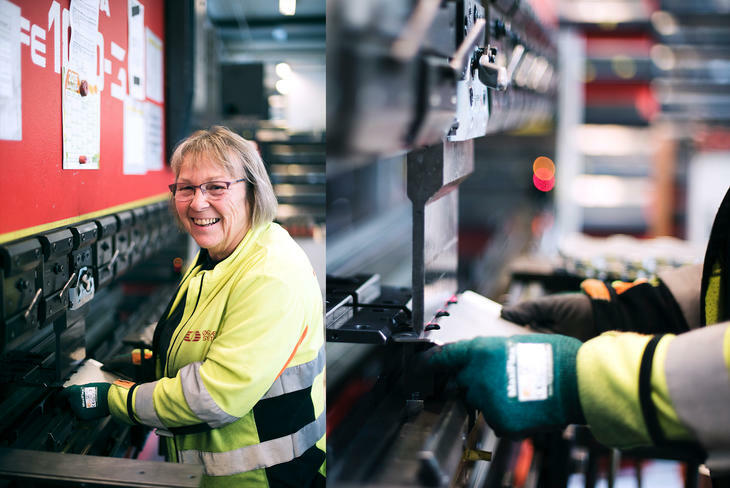 The headquarter and main production plant for steel products is at Øksnevad Næringspark, which is situated in the municipality of Klepp, app. 25 km south of Stavanger in Norway. Oglaend System moved to these premises in 1999. The buisness park has 22.000 sqm out of which Oglaend System occupies about 21.000 sqm. On a regular basis Oglaend System hosts training sessions and seminars for groups up to 30 persons. 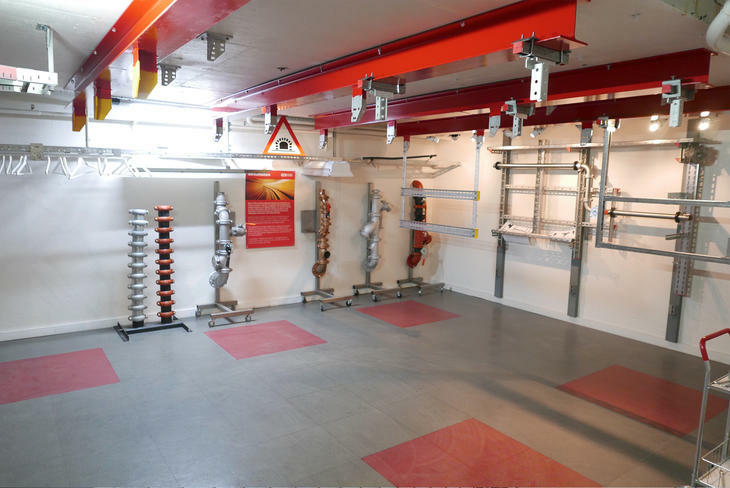 In our show-room we have all seminar facilities needed and a comprehensive exhibition of our Multidiscipline Support Systems for a truly "hands-on" experience. One of Oglaend System's 4 core values is Solution Focus, and we co-operate closely with our customers to create better and smarter solutions. Therefore our R&D department works continously on new products and improvements of existing ones. Our inside sales team is always ready to take your order. They can also help you choose the right products, as well as giving you technical support and information about delivery and order status. After order registration our production planning department takes over. 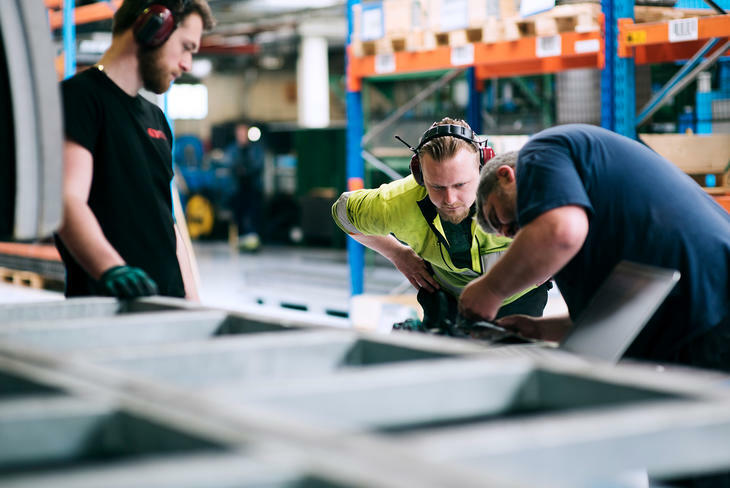 This team places the production orders and is constantly co-ordinating between sales and production and supervises and manages our production capacity. 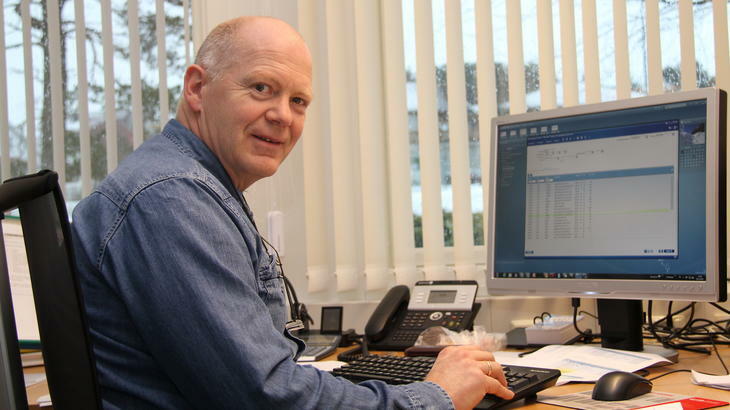 Oglaend System is one of Norway's biggest users of stainless steel. We use app. 5,000 tonnes of stainless steel AISI 316L and app. 2,500 tonnes of carbon steel per year. 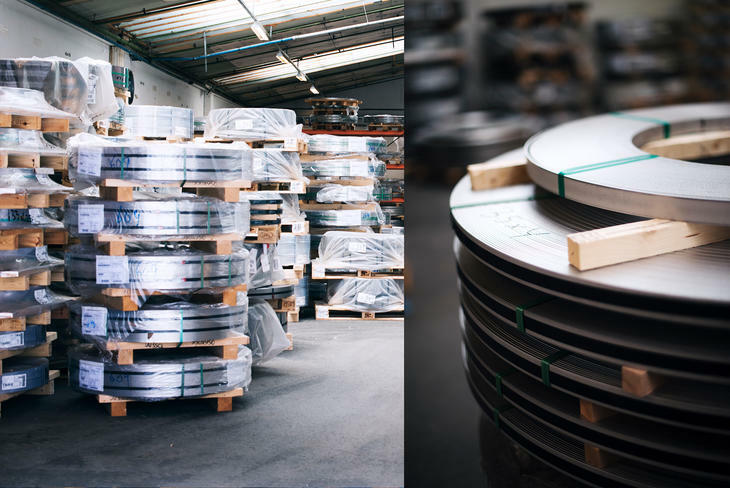 The raw material comes as coils, plates and angle iron. 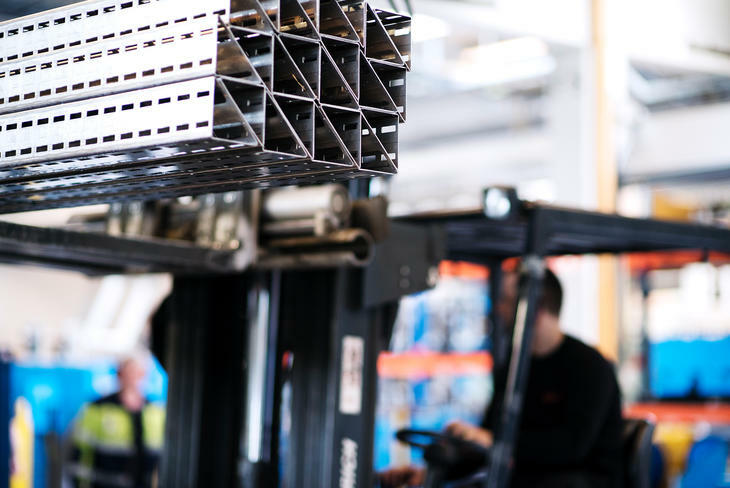 By having a well-stocked inventory it gives us the ability to deliver products quickly. 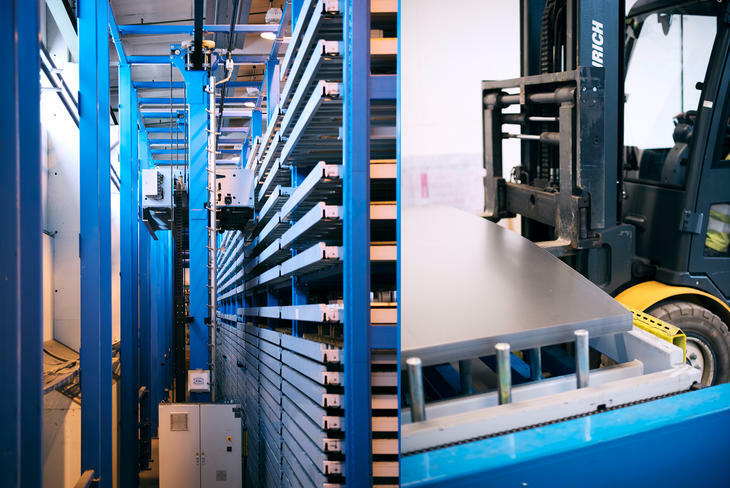 The automatic truck collects steel plates from the shelves and feeds them into the three full automatic CNC controlled punching machines. 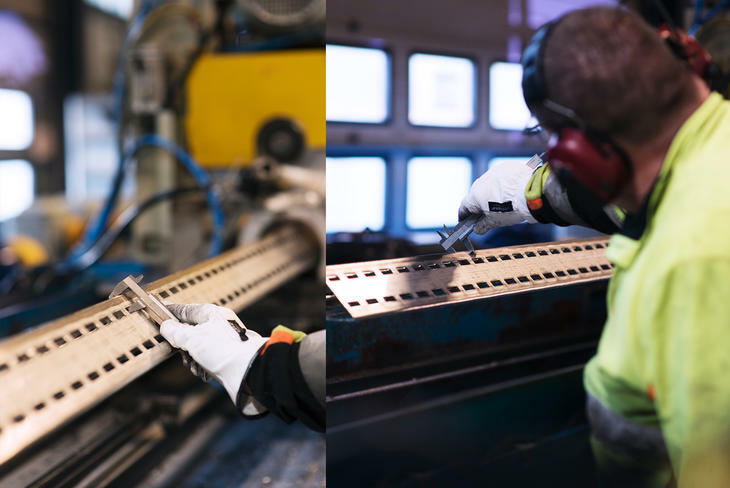 Pallets with semi-finished products are hereafter automatically taken to the Stacking System, where they are stacked to be picked up for finishing in the press brakes. 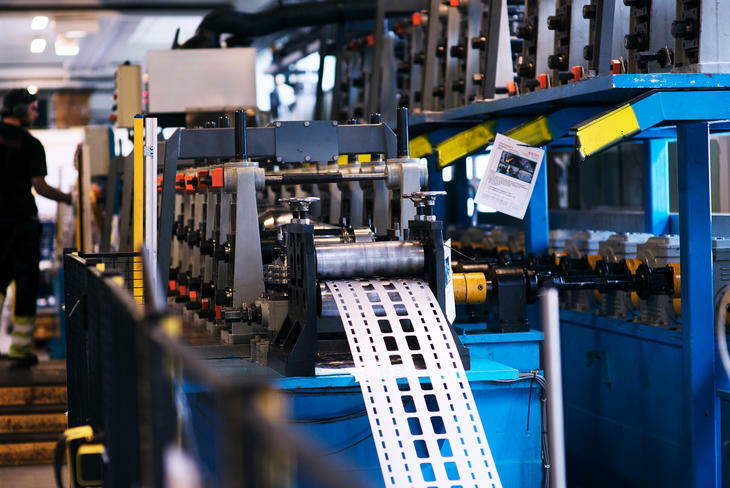 The system generates a fantastic production flow 24 hours a day. 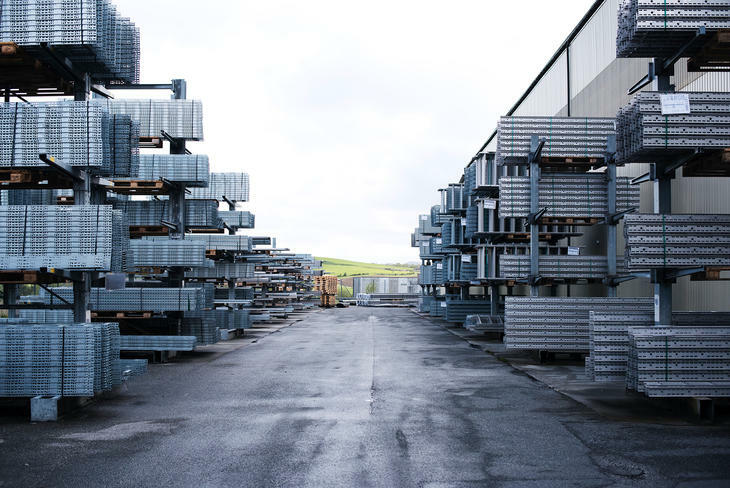 This is the largest installation of its kind in Northern Europe with its 75 meters in length, 8,5 meters in height and with a capacity of 450 shelves each 3,000 kg. 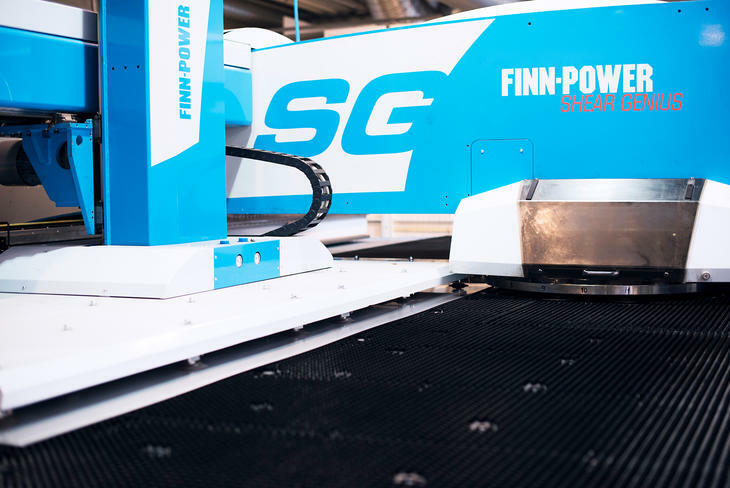 With it's scissors this full-automatic CNC punching machine cuts square and rectangular shapes to perfection, in lengths up to 1,5 meters. Typically it produces profiles, OE-bends, inner and outer side pieces and parts for support. Automatically fed by the night-train. Our laser punching machine is extremely effective and precise even when cutting around shapes. It manages to produce 6,5 meters per minute (round shapes). Automatically fed by night-train. 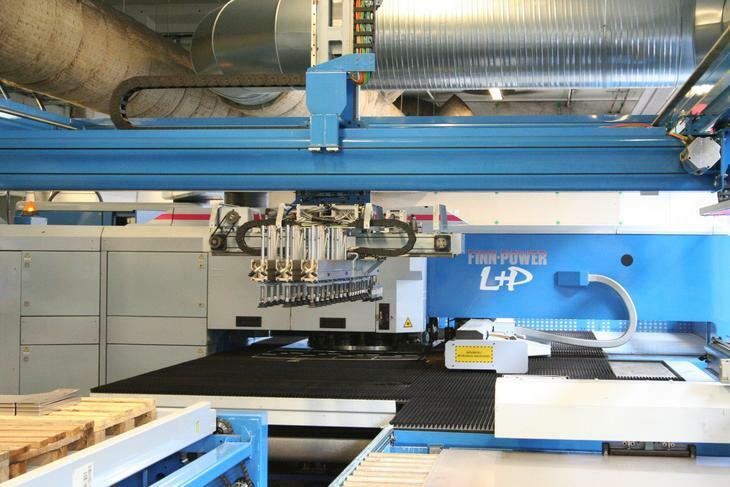 Oglaend System has six CNC controlled press brakes in total producing parts such as side pieces, flexi-risers, cantilever arms, equipment plates and cable trays. Some of the brakes are also full-automatic. Our roller mill produces a.o. our triangular channels Mekano® and side pieces to our ladder Type OE. Everything is done in one single process: rolling, bending, cutting and stacking. 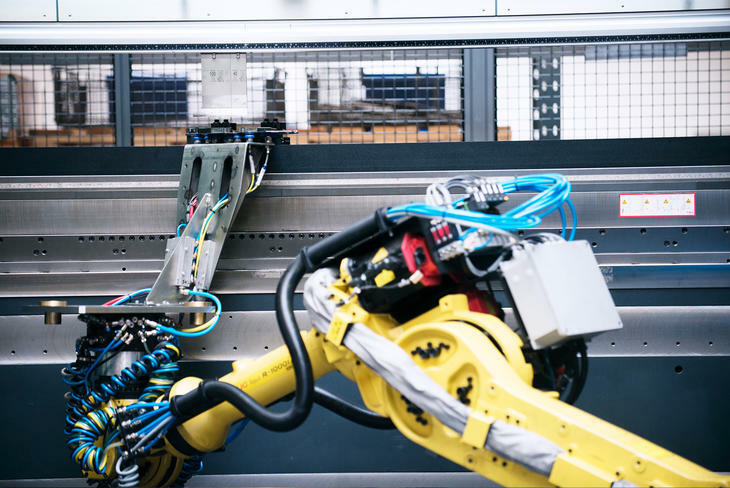 Oglaend System has four full-automatic welding robots. 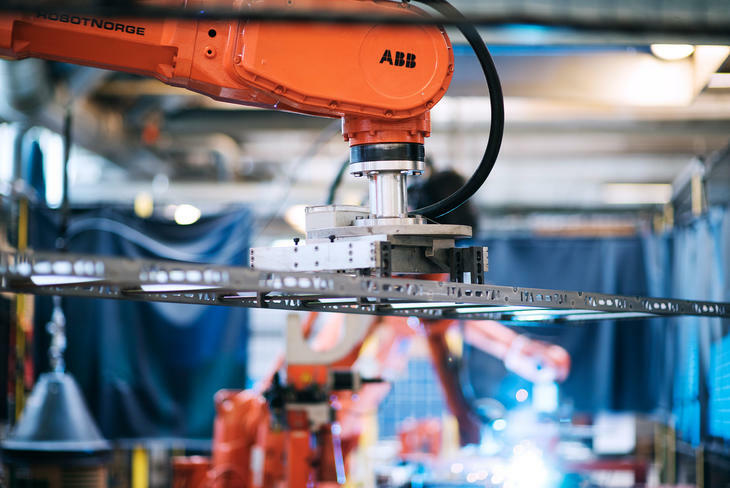 On the picture you can see a full-automatic production cell for shipsladders. 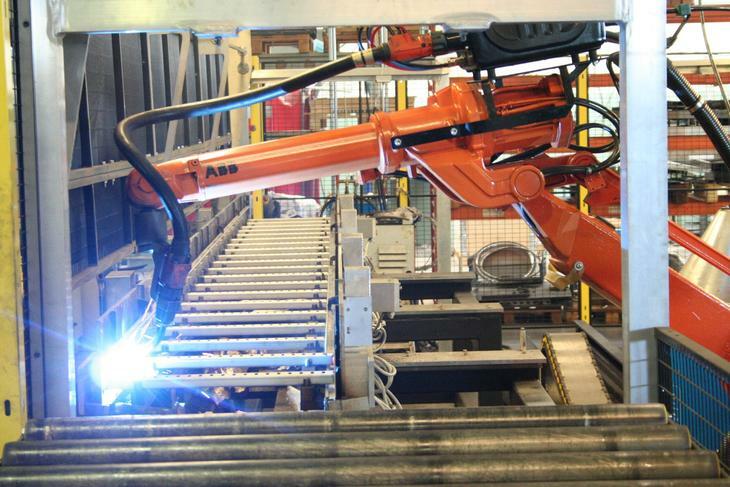 This full-automatic welding robot produces our heavy duty cable ladder, Type OE in both 6 meter and 3 meter lengths. It also produces our double UNO channels. 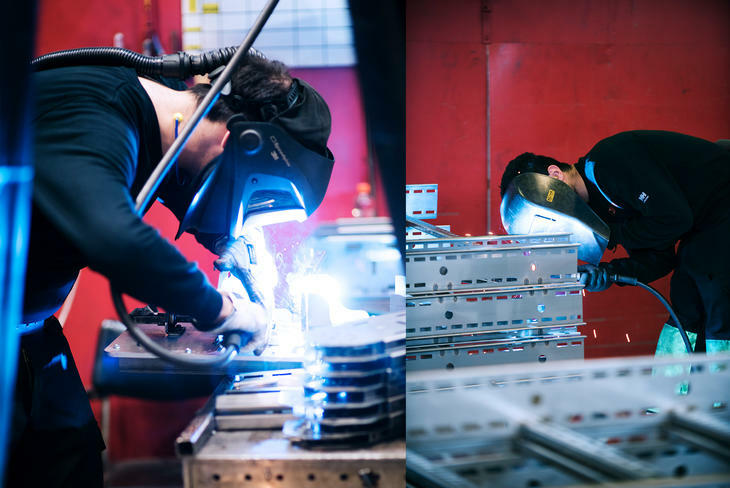 Some specialities need to be welded manually. 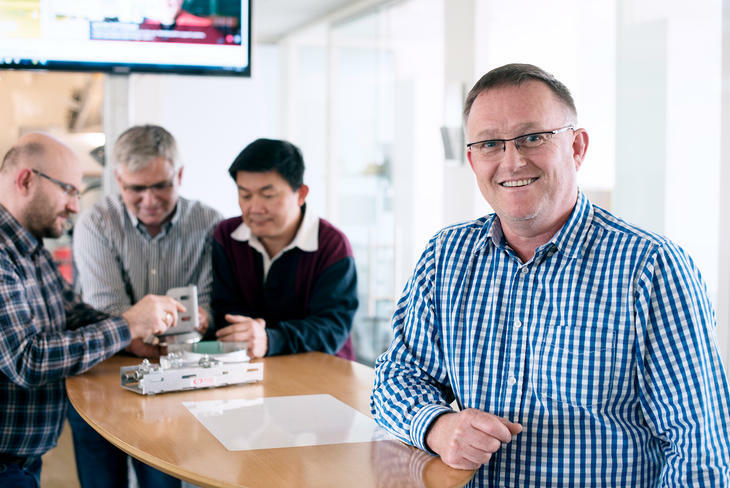 Our skilled workforce can deliver special products on your request. Oglaend System AS is certified in accordance with ISO 9001, ISO 14001 and OHSAS 18001. 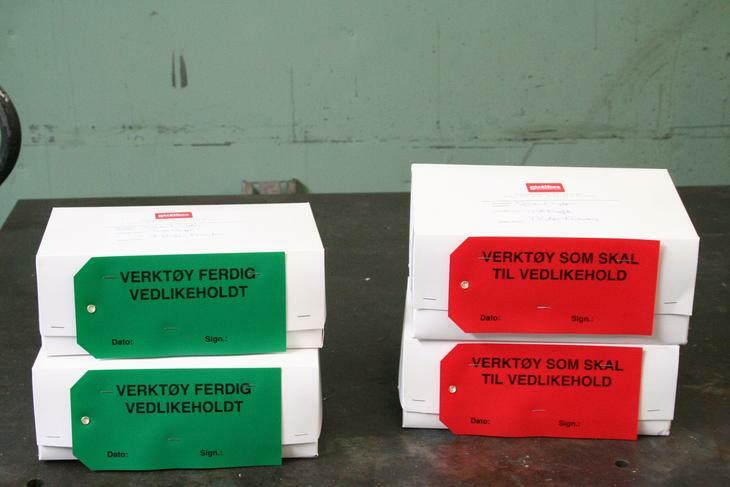 Quality control of products are carried out in accordance with our quality handbook. In addition to third party audits, our HSE department perform regular internal audits in order to quality assure all operational systems are in accordance with current procedures. Oglaend System has its own in-house workshop for maintenance of tools and machinery. In total Oglaend System has 3,500 sqm with finished products. 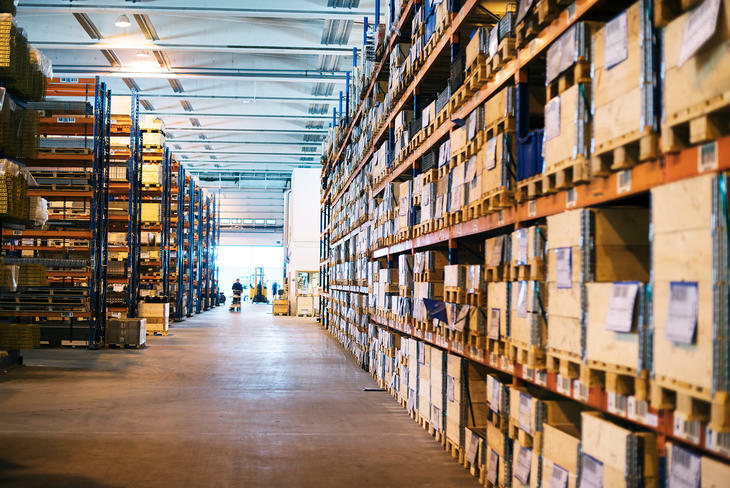 All inventory positions are controlled by a bar code system. This ensures the shortest possible time from inventory to market. Continuous development of our staff's skills is imperative. As an example all warehouse employees are offered a craft certificate in materials administration. 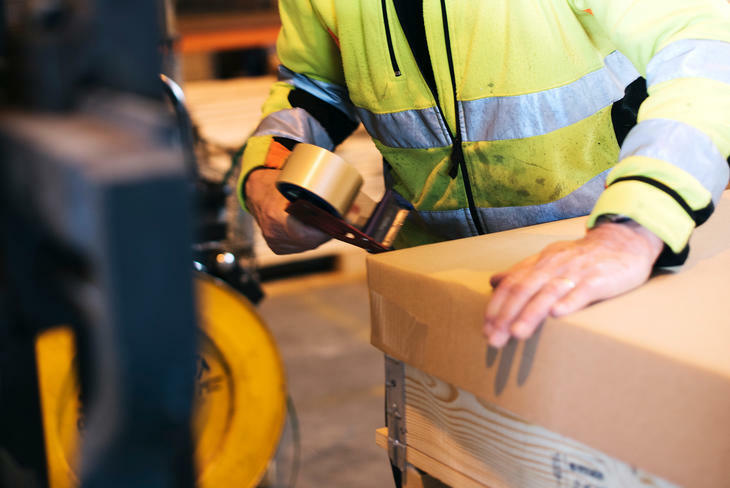 Our expediting deparment packs and dispatches more than 100 shipments every day. 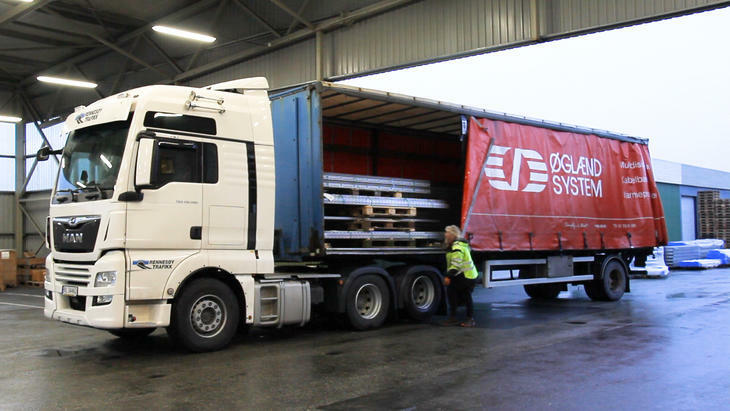 Dispatch of finished and packed goods is primarily done by lorry/truck, ship or airfreight. In 2007 Oglaend System more than 200 ea 40 feet containers overseas, more than 15,000 shipments Nor Lines to the Norwegian market.